Shelly is passionate about teamwork and leadership! Her experiences as a Freedom Challenge climber, collegiate athlete, sports director, and coach have uniquely equipped her to speak on those subjects. She would be honored to share her message to any groups and all ages. Shelly can customize her speech content based on the needs of the listening audience. Though she is a motivational and leadership speaker for secular venues, Shelly is also available to speak at Christian venues such as, conferences, retreats, and in youth group or teen camp settings. 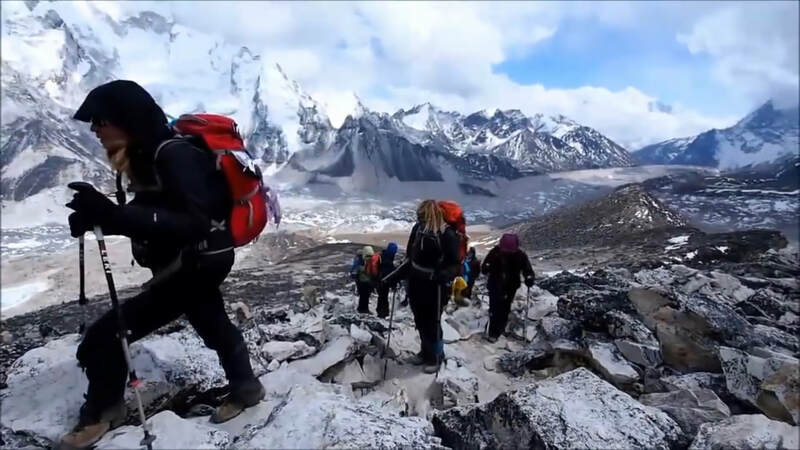 Shelly’s experience as a Freedom Challenge climber trekking to Mount Everest Base Camp/Kala Patthar in the Himalayas serves as the foundation of her teaching on leadership and teamwork. She will share inspiring stories and teach lessons on leadership as she takes you on a virtual trek in the Himalayas using photos and videos that will capture your attention and keep you engaged throughout. This is a 2-hour presentation. The foundation of this seminar topic is based on Shelly’s experiences as both her collegiate athletic experience and 28 years of coaching, directing, and mentoring athletes and coaches. Her presentation includes photos and teaching point slides. THE FREEDOM CHALLENGE - "Climbing for the Freedom of Captives"
Shelly is climbing Mount Rainier in 2019 to free oppressed and enslaved women and children around the world while raising funds and awareness to combat these dark, social injustices. She welcomes the opportunity to speak to community groups and churches about her climb and the tremendous impact the Freedom Challenge has had through the funding of project around the world that help set women and children on the pathway to freedom. For more details you can view Shelly's Freedom Challenge page here. More topics to be added, please check back or inquire by email.